What does it mean to be a Group's Manager? If you are a Manager over a Group (think Team or Role), not just individual Users, you will have the ability to customize your Group. Reminder, all you can do here is completely dependant on your Organization's set Permissions. 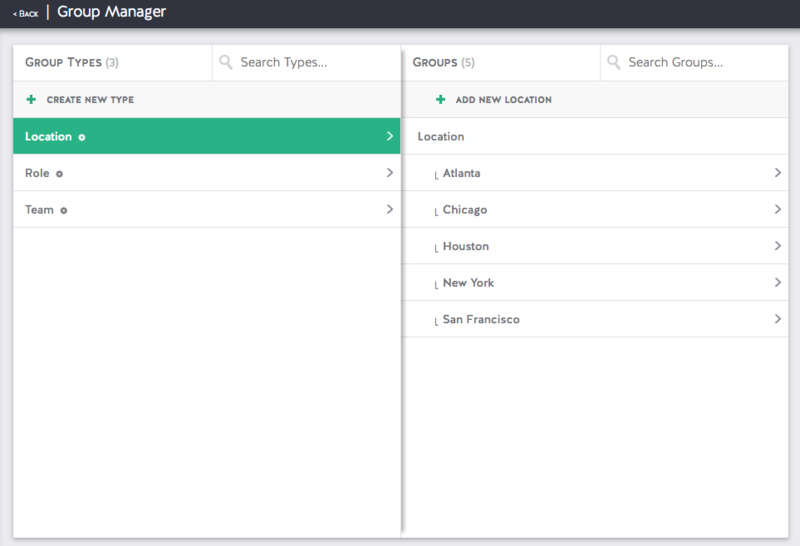 Any Group Types and Groups that you are listed as a Manager of will be found here. 3. Click on the respective Group's name that you'd like to access/update. 5. 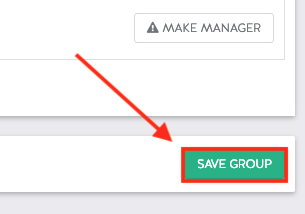 Click the green Save Group button.